Meta data of an image file provide basic information of photo like resolution, camera, image editing software used, orientation, file date time and much more. 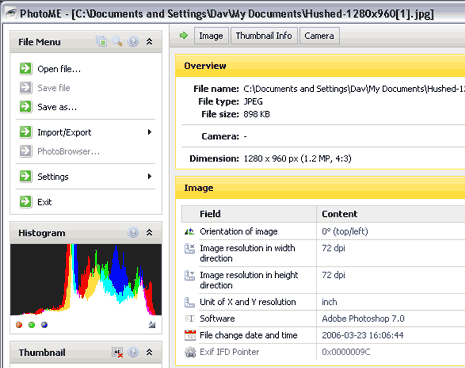 We have already seen tool to view EXIF information and tool to strip / remove EXIF image data. 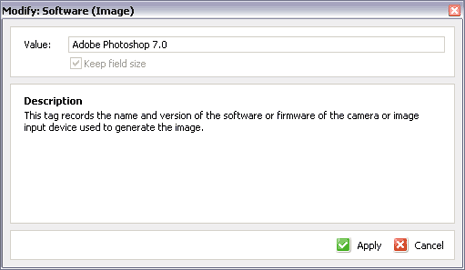 PhotoME is another useful tool for EXIF data manipulation, it allows you to analyse and edit EXIF information of any image file. 1. Download PhotoME program & install it on computer. 2. Launch it, click Open File & select any image file. 3. Detailed EXIF information of selected image can be seen under: overview, image, thumbnail info and camera fields. 4. Click on any row under “content” column to edit specific displayed information. You can edit any of the displayed EXIF information in the application window. 5. Click Import/Export button at left menu to import or export EXIF or IPTC data. You can also use find bar at the bottom for quick searching of any specific information from displayed EXIF information. PhotoME is one powerful and free EXIF data editor with easy to use simple interface.